Good oral health is the foundation of a world-class smile. Not only are healthy teeth beautiful, but dental health can prevent the need for more invasive treatments. At Contemporary Dental Health, we believe everyone deserves a strong, healthy, gorgeous smile. To learn how we can help you achieve optimal oral health and the smile of your dreams, please call 503-636-4069 to schedule a consultation with our experienced dentist, Dr. Keith Ogawa. We proudly serve the Lake Oswego, West Linn and Portland areas of Oregon. The objective of general dentistry is to diagnose, treat and prevent dental problems. Our general dentistry services focus on your fundamental and ongoing dental needs so that you can enjoy healthy gums, strong teeth and a comfortable bite. Gum disease treatment: There are few greater threats to your oral health than gum disease. Left untreated, periodontitis can lead to a number of dental issues, including tooth and bone loss. Prevention is key. Tooth-colored fillings: Tooth-colored fillings are not only attractive and color-matched to your natural teeth, they can be used as a first-time cavity treatment or as a safe replacement for old metal fillings. Dental implants: The gold standard of tooth-replacement options, dental implants can replace your tooth right down to the root. It the strongest, most long-lasting option available for tooth-replacement. Porcelain crowns: A dental crown is a versatile tool that can protect a damaged tooth, enhance the stability of some dental restorations, complete a dental implant and provide natural-looking beauty to your smile. Inlays and onlays: If your teeth have been damaged by trauma or decay, but still have an adequate amount of natural structure, Dr. Ogawa can place inlays or onlays instead of a dental crown or dental filling. Inlays cover damage inside the cusps of the teeth, while onlays cover damage from one or more cusps. TMJ/TMD treatment: The term TMJ, also referred to as TMD, refers to temporomandibular joint disorder. This dangerous health issue occurs when your jaw is misaligned. TMJ can be responsible for a variety of seemingly unrelated symptoms, including migraine-like headaches, jaw clicking and popping, back pain, and more. Sleep apnea treatment: Snoring can be more than an annoying disruption; it can be a sign of a dangerous condition called sleep apnea. Dr. Ogawa can determine the cause of your restless nights and help to improve your quality of sleep. Full mouth reconstruction: If you suffer from a variety of dental issues that cannot be addressed in a single treatment, Dr. Ogawa can help you attain optimal oral health and a beautiful smile with full mouth reconstruction. When you visit Contemporary Dental Health for a routine dental exam or initial consultation, Dr. Ogawa will discuss all of your options and develop a customized treatment plan jut for you. Regular checkups and cleanings are essential to maintaining optimal oral health. This type of preventative care will enable you to ensure good health while avoiding tooth decay and other dental issues. If it’s been a while since your last dental exam, or if you are experiencing discomfort or a concerning issue, contact our office right away. Dr. Ogawa and the entire staff at Contemporary Dental Health are committed to helping you get back on track. Red, swollen, tender gums: These are common signs of an early stage of gum disease called gingivitis. Infected gums may easily bleed when you brush or floss. They may also appear puffy and deep red in color. Health conditions that heighten your risk of gum disease: There are certain health conditions that can make you more susceptible to gum disease, such as diabetes, HIV and cancer treatment. Share your health history with Dr. Ogawa so he can recommend the most effective treatment options for your care. Persistent dry mouth: If your mouth feels constantly dry, it could be an indication of an underlying condition. Dry mouth can make you more vulnerable to tooth decay and other problems. Dr. Ogawa will determine the cause of your dry mouth and work to restore your mouth to a healthy state. Mouth sore: A variety of dental problems can result in a persistent sore. Dr. Ogawa can help to determine what’s causing your mouth sore and recommend the appropriate solution. Chronic bad breath: A number of factors can contribute to consistently bad breath, such as smoking, dry mouth, gum disease and poor dental hygiene. Dr. Ogawa can assess your situation and help you attain fresh breath. Loose or missing teeth: When you have a tooth that is loose or missing, you may experience difficult chewing or speaking, bite problems, discomfort or pain. Tooth replacement options such as dental implants can help to restore your bite and oral health. Tooth sensitivity to hot or cold: Damaged tooth restorations, worn tooth enamel, and exposed tooth roots can all be linked to tooth sensitivity. Dr. Ogawa will determine the cause of your sensitivity and recommend appropriate treatment to alleviate your discomfort. 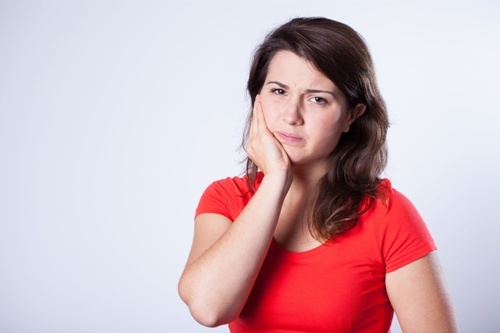 Jaw pain, tenderness or clicking: Clicking, popping, swelling and tenderness around your jaw can be signs of temporomandibular joint disorder (TMJ/TMD). As an LVI-trained dentist, Dr. Ogawa is uniquely qualified to identify and treat TMJ. Embarrassment to smile: If you feel embarrassed to share your smile with others, you should speak with Dr. Ogawa about our many cosmetic dentistry services. We believe every patient deserves a smile they can be proud of, and we want to help you achieve the smile of your dreams. The problems listed above can be distressing and uncomfortable. Contemporary Dental Health is here to help. Dr. Ogawa has been helping patients achieve healthy, beautiful smiles for 25 years. He has the skill, experience and dedication to excellence you should demand from your dentist. Contact us today to schedule your appointment. Regular visits with Dr. Ogawa are crucial to address the build-up of plaque and tartar that cannot be removed by brushing and flossing. Although professional dental cleanings are important, the examinations in which Dr. Ogawa looks for evidence of gum disease, oral cancer, tooth decay and other issues are absolutely vital. By routinely checking for issues, Dr. Ogawa can help to identify emerging conditions and treat them before they escalate into serious problems. Jaw swelling, dislodged teeth and severe tooth pain are just some of the dental emergencies that can arise suddenly and unexpectedly. When problems like this go untreated, they can become more serious and require more invasive treatments. Missing teeth can lead to bone loss in the jaw and other problems. Infections of the gums or an abscessed tooth can spread to other parts of your body. Whatever your dental emergency, it’s important to act quickly instead of ignoring the problem and hoping for the best. Contemporary Dental Health cares about you and your dental emergency. Although our office is not open 24/7, we will make every effort to schedule your emergency treatment as quickly as possible. If you are experiencing a serious emergency, call 911 or visit your nearest urgent care facility. Dr. Ogawa is passionate about helping you maintain exceptional oral health and preventing dental issues from occurring. When conditions such as gum disease or tooth decay occur, he will provide prompt, effective treatment to prevent your minor issue from becoming a major problem. Left untreated, oral health problems can lead to complications such as tooth loss, sensitivity and irritation, and chronic bad breath. Even more serious, some oral health issues are linked to systemic health issues and can affect your overall well-being. Hypertension, heart disease, stroke and pregnancy complications, and more have been linked to problems affecting the teeth and gums. Dr. Ogawa knows that the key to great dental health lies in individualized, patient-focused care. He never takes a one-size-fits-all approach to patient health. He will work with you to understand your oral condition and unique goals. He will carefully explain all of your treatment options and recommend a customized plan that addresses your unique needs and goals. To schedule your appointment at Contemporary Dental Health, please contact us today online or at 503-636-4069. 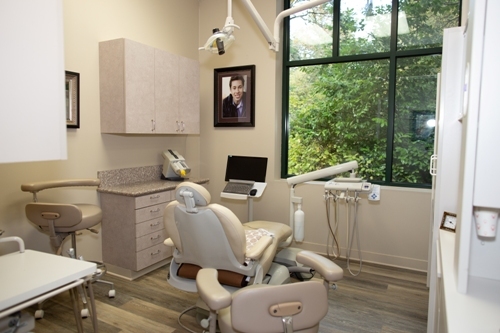 Dr. Ogawa serves patients from throughout Oregon, including Lake Oswego, West Linn and Portland.